Lizard Island is a glorious destination and perfect for an extended boat charter. 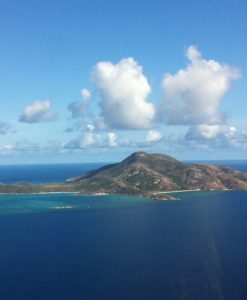 There are a number of boats that are available to charter up to Lizard Island. Lizard Island is as close to paradise on this earth as you can get. 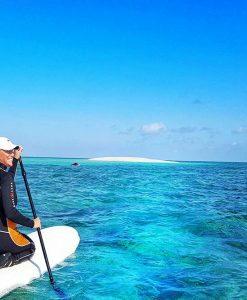 There are a myriad of white powder sand beaches, and crystal clear turquoise waters teeming with fish and corals at this tropical paradise. There are also many beautiful private lagoons to explore. To get to Lizard Island on a motor boat it is best to charter for a minimum of 4 days. 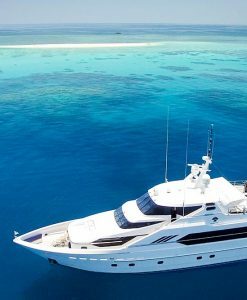 This allows you to leisurely cruise the Great Barrier Reef exploring other beautiful islands and reefs along the way. 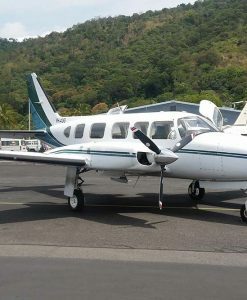 Once at Lizard Island you can depart via plane back to Cairns. 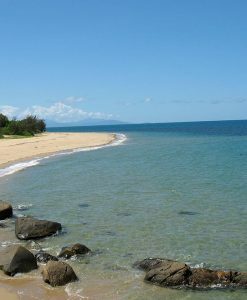 Or you can choose to cruise back to Cairns from Lizard Island. The more time you have to explore on a private boat charter – the better. No need to go to the Lizard Island resort. Your boat will be your will be own private floating resort. You can enjoy a number of different activities on a charter boat to Lizard Island such as fishing, snorkeling or diving. Your own charter boat to Lizard Island will allow you to explore all the beautiful private beaches on the surrounding islands as well… without the crowds. A boat charter to Lizard Island is surprisingly affordable given that the rates of Lizard Island Resort are close to $1600 per person per night. That rate does not include snorkeling off a boat or going fishing. A boat charter to Lizard Island is very economical – if you charter a boat that sleeps six people for 5 days and the day rate is $3600, then the total cost per person is $3000. This works out at $600 per person per day and includes all meals as well as all activities such as fishing and snorkeling. 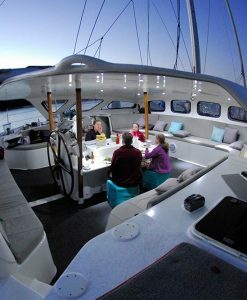 Port Douglas Reef Charters is also pleased to offer a 60 foot sailing catamaran to Lizard Island that can sleep 6 persons for $2200 per day. This luxury catamaran is a must for the sailing connoisseur. 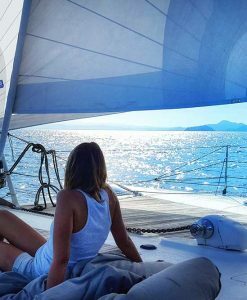 Owing to the fact that it is a sailing catamaran the pace to Lizard Island will be slower… allow 5 days to maximise your Lizard Island sailing experience. 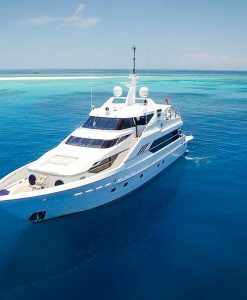 For any questions about a private boat charter to Lizard Island from Port Douglas please don’t hesitate to contact Port Douglas Reef Charters.